This story has now been picked up widely by gaming and technology news showing how our very fortunate PR for Oculus and the Rift has caused people to be heightened by any news about us, even shocking, mindless brutality that can touch anyone's life at any time. The comments online have been wonderfully supportive of us and more importantly Andrew's family. Our co-founders knew Andrew for 15 years (one was his college roommate at the University of Maryland). He helped start a previous company and worked with them at a second. Thank you to all of you who have emailed/facebooked/iMessaged me with your warm and supportive notes. While only knowing Andrew for 5 months, I liked him immensely and enjoyed our random chats when he wandered into my office to wonder about this or that regarding the business or life. Our general counsel said it well, "If I could convince Andrew of something, I knew the rest of the team would agree." Andrew quietly held court with many of us. Andrew and I shared an interest in being outside. He loved to hike long, long distances. He would take his camera and capture stunning images. So, not only did his hands type out complicated graphics and code routines, but his eye would frame nature and bring it back for all to see. You can enjoy his work at his website www.reisse.net and learn more about his history in this post on our company blog http://www.oculusvr.com/blog/andrew-reisse-in-memoriam/. While I also enjoy hiking, I prefer running trails and roads rather than walking them, and after conferring with a few people at the company and with friends and family, I did not cancel this marathon trip. Instead, as this is my way to deal with anything at all in my life, I will gain the strength I need to help our team heal. I feel somewhat selfish that this is how I process, but that is perhaps natural. A friend reminded me about how I carry my donation sponsors names with me when I run for charity, and wisely suggested that I do the same with Andrew's. And so I will. Tomorrow, I will do the thing I love, running marathons, for Andrew Reisse, 1979-2013, who will no longer hike and take pictures and code and do things he loved to do. 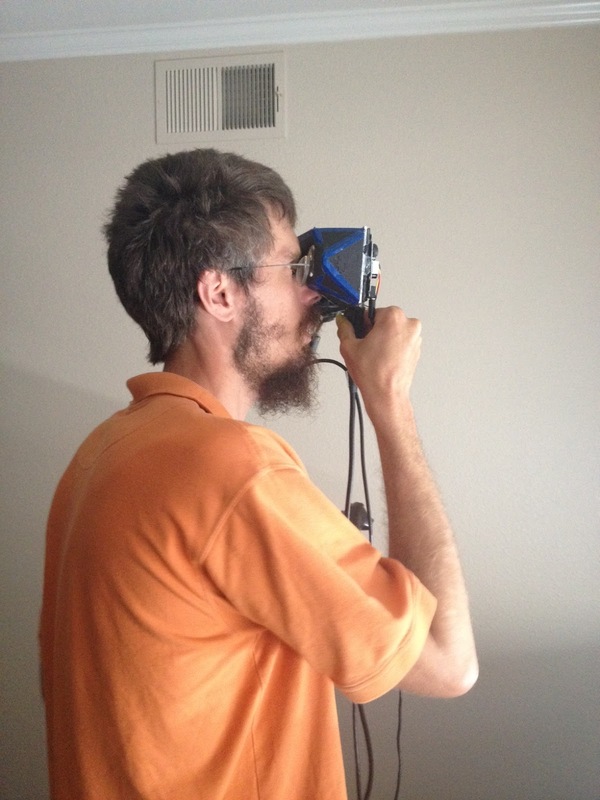 Andrew's first experience using the Rift virtual reality prototype, summer 2012.